While most people might think of South Africa as a place where wild animals roam, in reality, it is a country of picturesque sights and bustling cities. The same rings true for Cape Town, the country’s key port city. 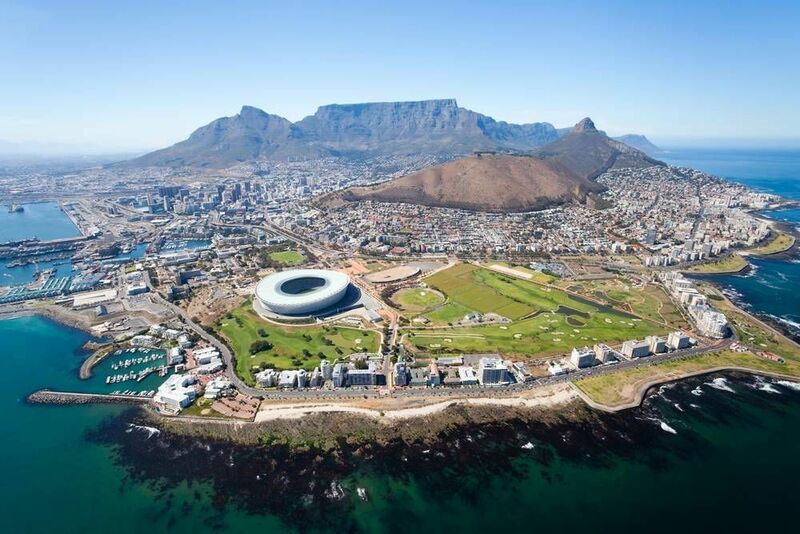 Cape Town is highly regarded for its ample beaches, towering mountains, and, of course, safaris. Safaris in Cape Town vary by intensity and length. Tourists can go on a simple daytime safari, stay overnight in a safari lodge, or take a luxury safari and stay in a tent. Beyond safaris, there is plenty to keep you busy in Cape Town. Go for a hike at Lion’s Head, or take one of the trails at Table Mountain National Park. Cape Town also has fabulous beaches, so consider heading out to Beta Beach or Camps Bay for a day of relaxation. If you’re a culinary adventurer, try some local cuisine such as injeras (flatbread), amanqina (chicken feet), or even some ostrich. If art and history is what you are looking for, check out Robben Island and District Six Museum to learn about the South African apartheid. For the wine connoisseur, visit Constantina Valley, a world-renowned winery that offers magnificent views. Finish the day in Greenmarket Square, one of South Africa’s oldest squares, for an authentic South African dinner and a bit of shopping. Since certain areas of Cape Town have dozens of significant sites so close together, walking tours are a great way to make the most of your time and see everything Cape Town has to offer. City Sightseeing South Africa runs tours twice daily, with times varying based on which tour route you choose. Lasting just an hour and a half, the walking tours each pack in tonnes of local highlights. On the Historic City Walk, you'll get to visit Greenmarket Square to see where slaves were once sold. On the Bo-Kaap Walk, you'll see some of the most brightly-coloured houses in the world and taste local cuisine. The District Six Walk takes you on a stroll through history, learning about the apartheid era that shook the South African people. You’ll visit the Muslim Quarter, where you will be able to see how the locals live. Other stops include City Hall, Castle of Good Hope, and the Parliament Building. Don’t forget to snap some pictures at Company Gardens, a beautiful local park created over three hundred years ago. Below you can find more popular (but not free) activities and tours in Cape Town. Are you from Cape Town and want to be a tour guide? Please get in touch by submitting your details on this page!